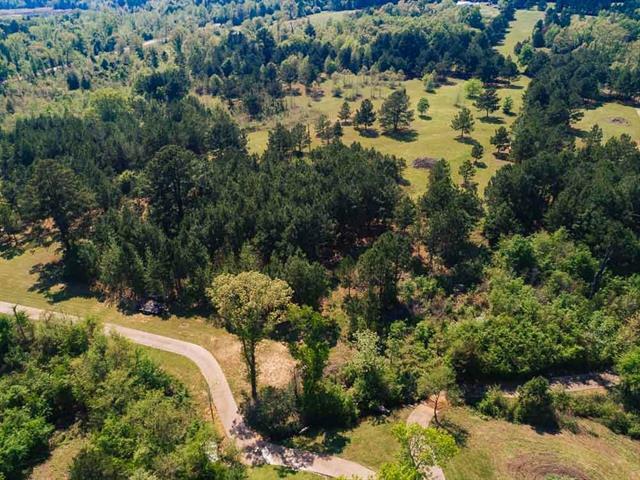 All Lindale homes currently listed for sale in Lindale as of 04/22/2019 are shown below. You can change the search criteria at any time by pressing the 'Change Search' button below. 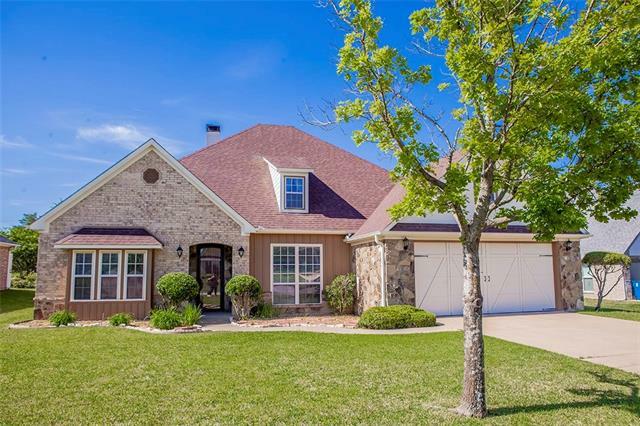 If you have any questions or you would like more information about any Lindale homes for sale or other Lindale real estate, please contact us and one of our knowledgeable Lindale REALTORS® would be pleased to assist you. 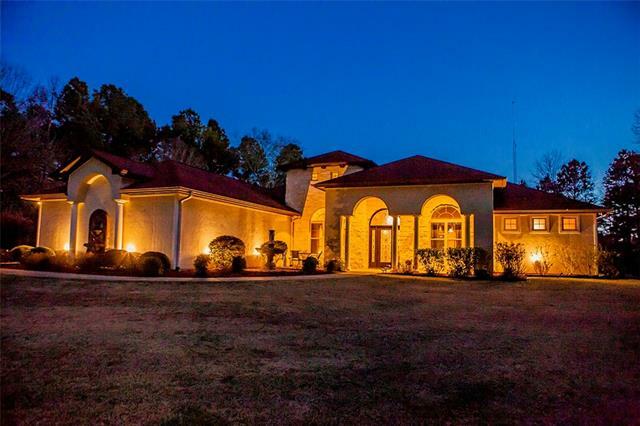 "ONE OF THE MOST BEAUTIFUL AND UNIQUE PROPERTIES IN ALL OF EAST TEXAS! 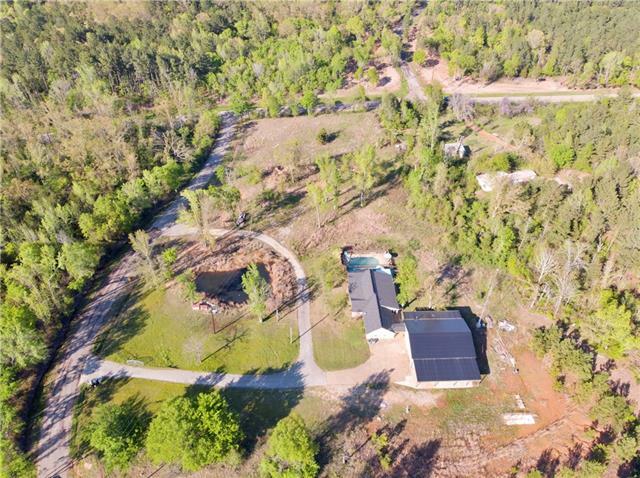 Two houses on 49 acres with ponds, streams, large heated salt-water pool, pool house and exercise room, walking trails, shooting range & multiple entertainment areas. Main 5,000 sf home hosts 5 BR, 4 BA, 2 half BA, completely updated kitchen (2016), 3 living areas and lg dining area. Custom, high quality upgrades throughout add to the appeal of this property. 2,400 sq ft 2nd home with 3 BR, 2.5 BA, commercial kitchen (May2018)"
"SOUTHERN CHARM in this replication of the oldest home in Galveston, MENARD HOUSE. 4 BR, 4 BA in 2 story home situated .5 mi. from road on very private 50 acres, 10 of which holds stocked fishing lake, w boathouse, just ft. away from your front door. 2 upstairs BRs overlook lake. Kitchen has AGA stove, ice maker, trash compactor, & new oversized fridge. On demand hot water heaters & generator service home. Master has separate bath suites with ADA shower. Balconies & patios from master, & cove"
"This one of a kind Mediterranean estate is a show stopper offering over 1,000 feet of road frontage and priced below recent appraisal. Resort style back yard complete with sparkling pool & a large guest house. In the main house find a spacious family room with stone fireplace & a wall of windows over-looking an amazing entertaining & pool space. Kitchen is a chef's dream with SS appliances stone-stacked vent-a-hood & a working island with warming drawer & ice maker. 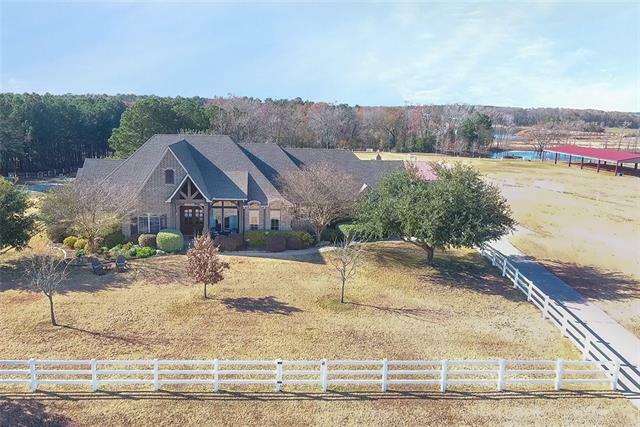 The Master wing includes a "
"Fabulous showcase property featuring 10 acres, pond, 60x120 covered riding arena, gorgeous custom barn and much more! 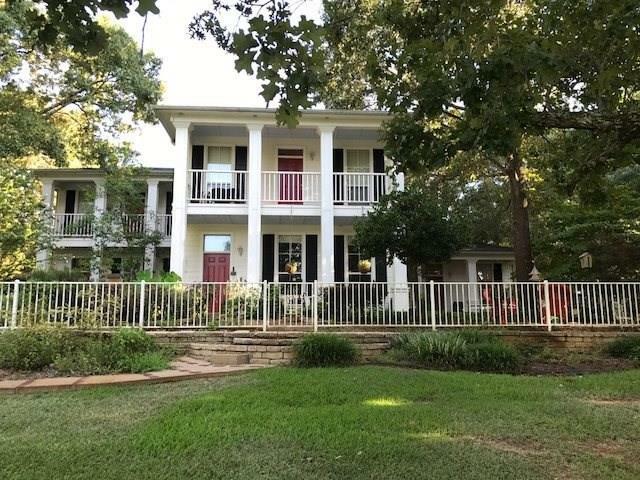 Offering convenient accessibility to Tyler, Lindale and Dallas, this ranch is truly a fabulous retreat! Step inside the gorgeous custom built, open concept home with gleaming hand-scraped hardwood flooring, beautiful trim work and soaring ceilings throughout! Master Suite with luxurious master bath, dressing area, large spacious shower and huge walk in closet! This home is great "
"2 stalls 12 by 15 horse barn with additional 120 sq.ft. feed & storage area. Also, a carport covered area near the pond for a picnic lunch while fishing from the fishing pier. Large RV parking electric and septic hook ups. Being prepared for a oversized walk-in concrete storm shelter. Irrigation well on property for gardening, watering the yard or flower beds. 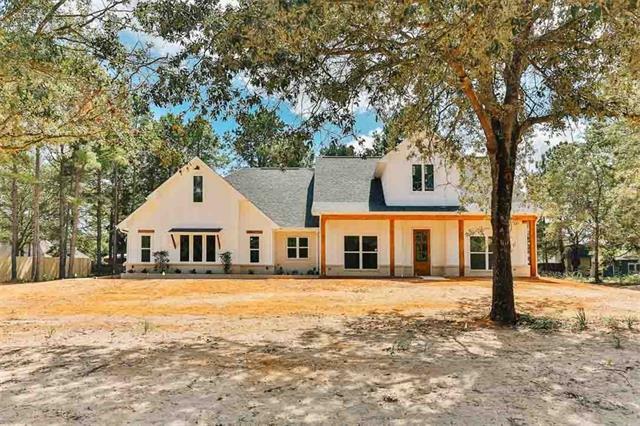 About a mile of extra wide concrete roadway that you can drive along and enjoy every inch of this winding road that runs through the ent"
"This custom built home situated on a cul-de-sac is loaded full of custom updates! Welcoming and spacious, sitting on a lot on the water, with its own private dock. Catch a glimpse of the sunrise and sunset while sipping your coffee on the private master patio, or from the comfort of your own master suite! Large lot, 14ft ceilings, granite in kitchen, marble in bathrooms, quiet community, and so much more! 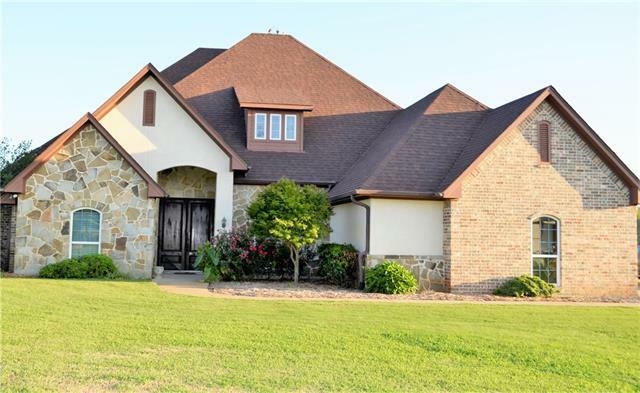 New roof in 2016, underground sprinkler system that uses water from the lake, new dishwashe"
"12.5 clear acres,4 bed 3.5 bath, and horse barn in Lindale ISD. Fully enclosed sun porch, looking out onto your gorgeous land. Two wood burning fireplaces, private suite upstairs with full bath, window seat and double closets. Large dining and entertaining spaces including a formal dining room and game room with a wet bar. Lovely wainscoting and built ins in the game room office space. Master suite has french doors that open up onto the sun porch, walk in closets and storage galore throughout th"
"Regal home on a quiet cul-de-sac. German Smear on the brick gives this home an old-world feel with all the modern amenities. Take in the high ceilings and stunning wood floors as you enter. With multiple living and dining areas this home can accommodate all your friends and family. The large fireplace is a showpiece in the main living open to the kitchen with granite, custom cabinets and SS appliances. Master suite downstairs with remodeled bathroom featuring double sinks, over-sized tile shower"
"Stunning home on over half an acre in Garden Valley! Beautiful upgrades that include granite, wood flooring, tile master shower, vaulted ceilings, and exposed beams in the living area. This is a split floor plan with 4 bedrooms, 2 full baths, and 1 half bath. There is a side-entry 2 car garage and covered back patio. All of this with golf for life, along with all the other amenities Garden Valley has to offer!" 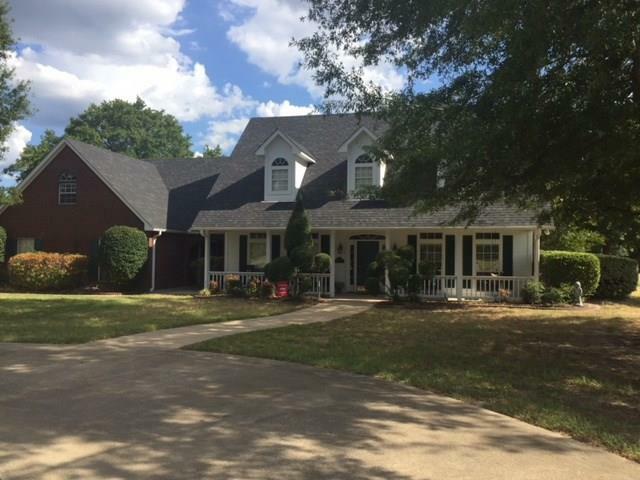 "Beautiful 2 story located in The Thicket, great drive up with circular drive & large covered front porch. 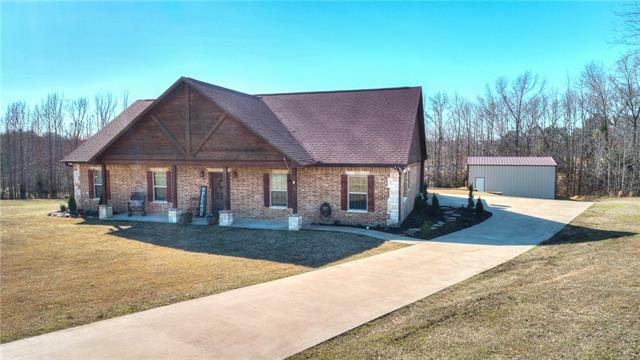 This is a great family home with 4 bedrooms, game room, office, 3.1 baths located on 3.116 acres with pool & a 24X24 shop. Pool area fenced for child safety, shop has separate fenced pet area. Inside is lovely with open kitchen & living area, master down with pretty master bath & door to patio area. 3 large bedrooms up, one with separate bath, & game room up. Living area with built-ins"
"Peaceful 7+ acres tract. Large windows, fireplace, wood floors that flow to formal dining area. A cozy den with fireplace sits off the kitchen. Granite counters and white cabinets throughout kitchen. Office down stairs and upstairs. A large bedroom with French doors sits off the down stairs office. This large bedroom can be used as a bonus room, den, game room or leave it as a bedroom. Upstairs is 2 additional bedrooms with a jack-and-jill bathroom and the master bedroom. Master bedroom has 2 wa"
"Beautifully appointed 2017 construction Mike Nance home in Iron Mountain Estates. 4 bedroom 2 full bath, 1 half bath with side-entry garage. Open- split floor plan with massive kitchen offering island, granite counter tops, under mount sink, lots of cabinets and pullout drawers. Living with fireplace ans wall full of windows. Additional guest rooms share second full bath with double sinks. 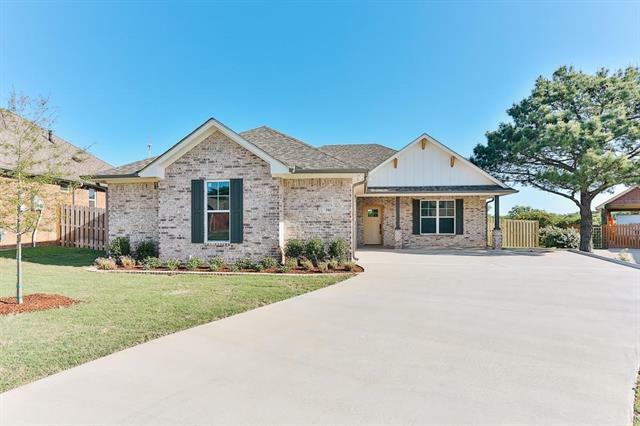 Master bedroom with tray ceilings and attached master bath offering large soaking tub, walk-in shower and d"
"Come to Mercy Ranch entrance welcomes you to this beautifully one-story home featuring elegant double French doors. Follow the winding driveway to endless mature trees, stock pond. You will love entertaining in the large space in Family room includes 2 fireplaces, crown molding, wood floors, an abundance of charm throughout. Completely remolded kitchen w-custom gray cabinets, granite counter-top, Over-sized Breakfast island, built-in electric oven. Outdoor Pergola, wood deck and covered patio's "
"If you're looking for a beautiful custom home with fabulous lake views look no further! This 2015 home was designed with family in mind. The main home boasts 3 large bedrooms, 2 baths, a custom walk in shower in the master bathroom, and a large office with a closet that can be used as additional bedroom. The attached mother in law suite has a private entrance, full kitchen, and private patio. The over sized back patio off of the main house is perfect for entertaining. The large 2 story storage b"
"This home is a must see! Located just around the corner from loop 49 you can be in Tyler in no time at all. 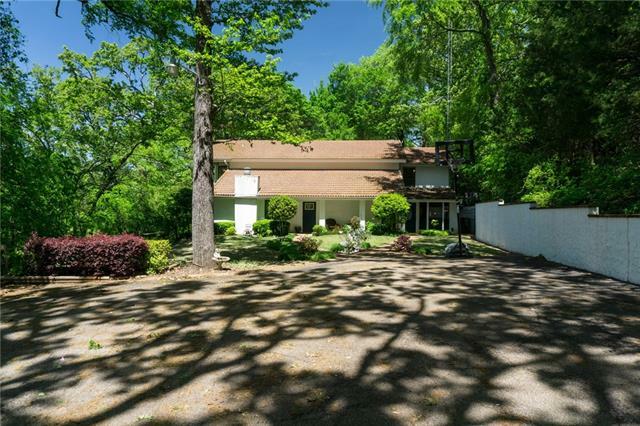 The home is situated on a large lot with mature trees. Upon entering you will see an open floor plan with great space for family and entertaining. Exposed beams, Crown molding, large base boards and recessed ceilings are just a few of the architectural features that are included in this home. The kitchen is a equipped with stainless steel gas cooktop, built in oven and microwave. Quarts co"
"Front circle drive with rear drive to a two car garage & spacious work shop. This highly detailed Steve Moss custom home has high ceilings, crown molding, granite counter tops, high end stainless steel appliances, & LED Lighting. This 4Bd-2.5Bth-3Grg home has many updates including new roof, new gutters & carpet. All bedrooms have walk-in closets & sizable master suite with large walk-in closet, big bathroom with jetted tub with separate shower. Open living area with inset hardwood flooring in t"
"Location! Location! Location! Unique opportunity. 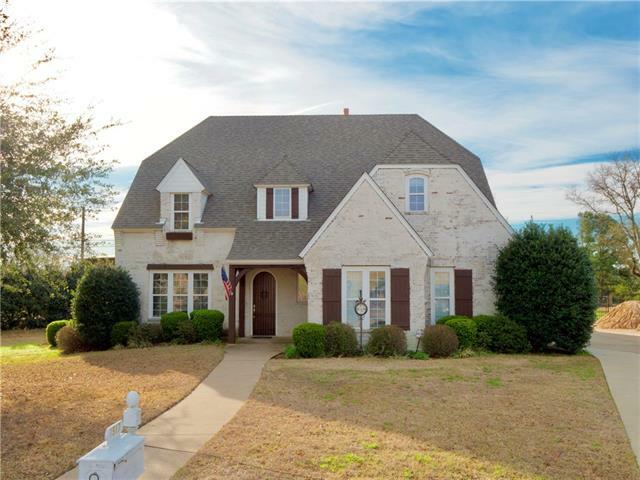 Be out under the stars but close to I-20, shopping and schools. 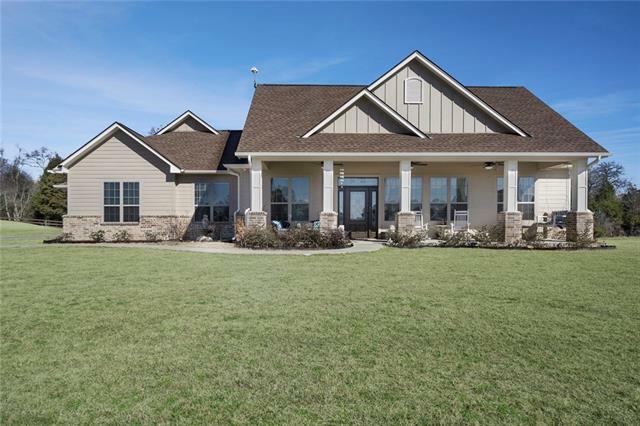 Over 2800 sq feet of living space with 4 bedrooms and 3.5 bathrooms on 6.256 Acres! A wonderful screed in porch and a fabulous yard for all your outdoor adventures. 3 living areas with lots of space for family. Beautiful hardwood flooring. A separate garage-shop and barn on property both with electric and water available. Barn is set up to have a bathroom. Kitchen has lots of storage"
"Stunning home in the highly sought after Corrigan Trail subdivision. Two living areas, two fireplaces, sun room, master split, each bedroom has its own full bath, alarm system, central vac, soaring ceilings. Large formal dining, beautiful kitchen, gorgeous wood cabinets, island, large stone accented breakfast bar separating the kitchen from den which boasts of lovely stone WBFP, tile flooring. Large living area with built ins, nice sun porch looking out to an oversized back yard that backs up"
"Beautiful custom built home in the highly desired Stallion Lake Ranch Subdivision. 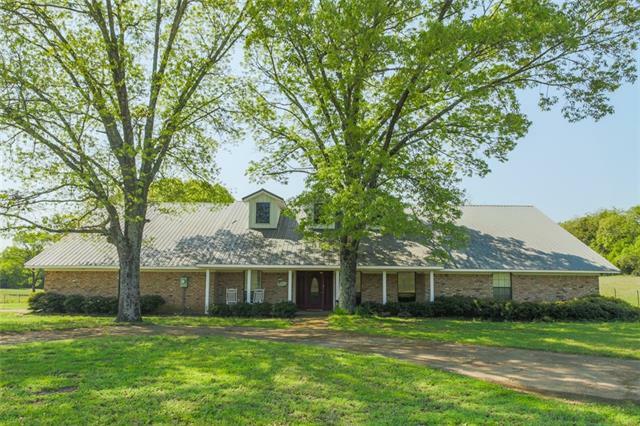 Bring your horses and enjoy this peaceful well-maintained property. Home offers three bed 2 bath with a open concept. 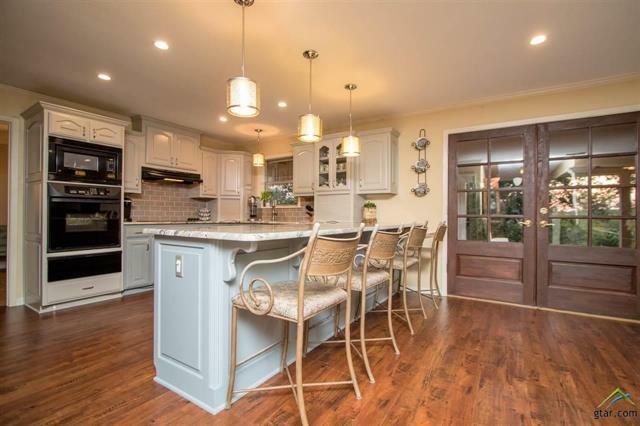 Custom Cabinets, Granite Counter tops, and upgraded flooring throughout. Enjoy your outdoor experience with a beautiful Back Porch with a 2019 newly built pergola." "Two homes for the price of one! These two manufactured homes are each situated on there own half acre lot with lots of large mature trees for added privacy. Each home is currently rented for 1,300 & 1,100 per month. The modular home feature a hardi board siding with large front porch and hug multi level deck great for entertaining. Tape and textured drywall carpet and laminate wood flooring. Don't let this one pass you by! Schedule your appointment today!" "This home in the senior living section of Penny Lane. This homes construction will amaze with items such as Tyvek house-wrap, tankless hot water, Hardie-board and brick construction, energy efficient hvac, foam insulation in attic ceiling, blanket insulation in exterior walls, insulation in bath and bedroom walls, upgraded argon glass all season low E windows and more. 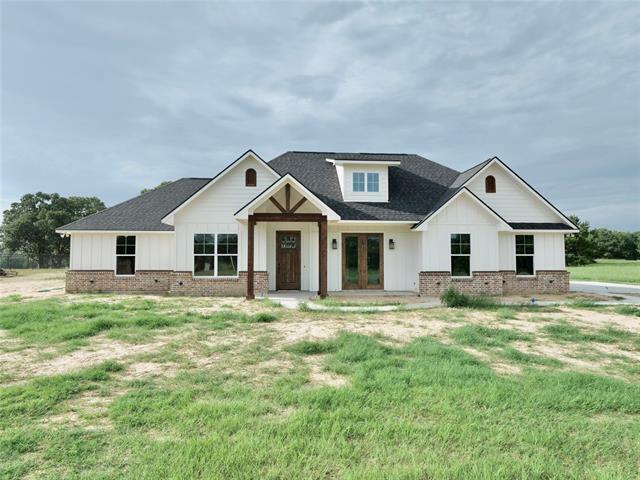 Features such as crown molding throughout most of the home, porcelain tile in wet areas, oak wood flooring in entry and living a"
"What a beauty!! This lovely custom home has it all!! 3 bedrooms, 2 baths, 2 car garage on a large lot. 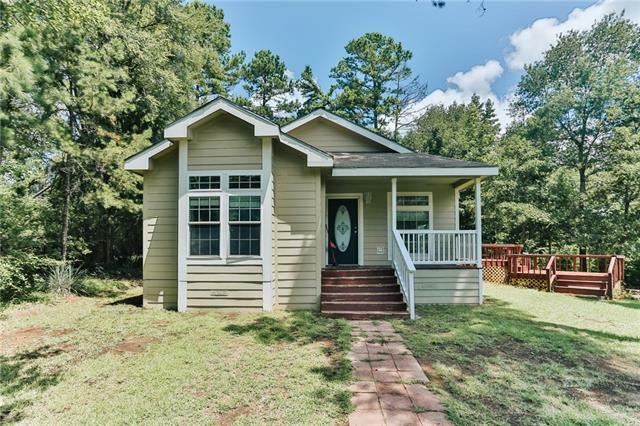 Located in the sought after Lindale School System, home boasts granite countertops, gas cook top and oven, large pantry and utility room, split master, tankless hot water, walk-in shower, walk-in closets, popular paint colors, stained concrete floors, foam insulation and more! Enjoy the spacious, open floor plan. Call for your showing today!"